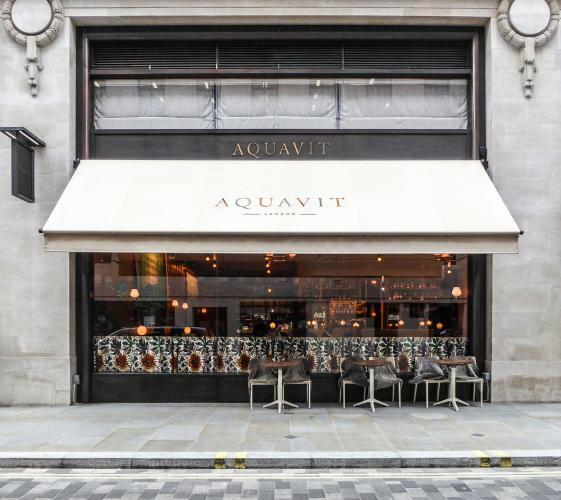 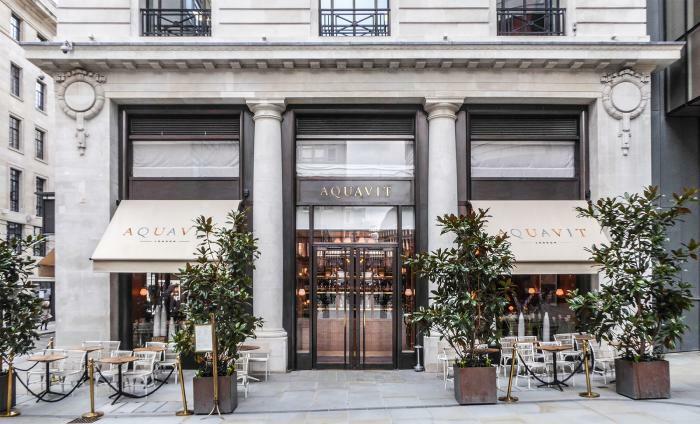 These Greenwich awnings, installed at Aquavit in St James, London, are particularly special in their construction and application. 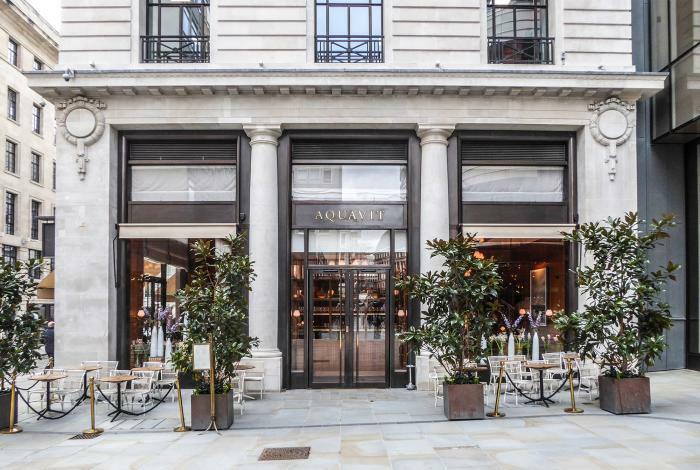 The Greenwich awnings are installed without any cassette boxes as they have been neatly installed within the reveals between the columns. 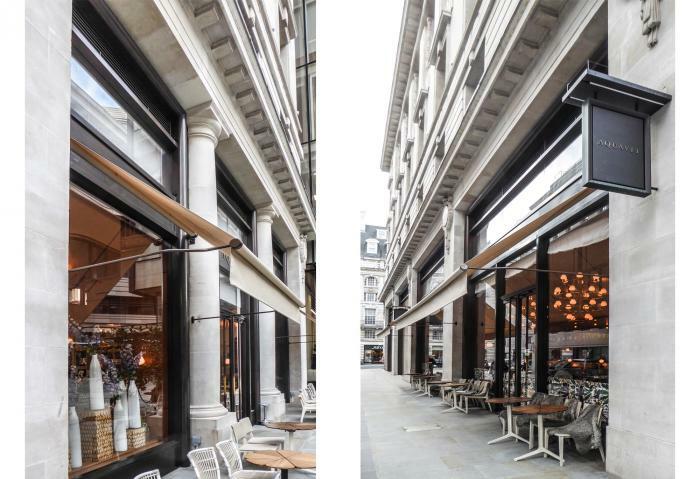 The roller brackets are also bespoke and manufactured in our works to present a side fixing to the rollers which enabled us to avoid any fixings which might have damaged the listed building mullions. 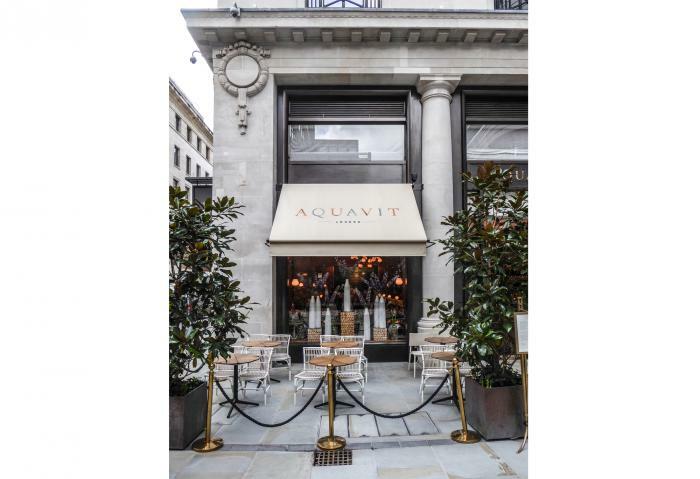 The logos on the Greenwich awning covers are also special as they have been applied using our unique RAGS® branding process and are layered in an attractive colour graded finish in full four colour definition.